By 2019, it is estimated that 427 million people worldwide will be watching eSports. However, for those unaware of the phenomenon, this will mean nothing. So what is eSport? Put simply, eSports is professional or competitive gaming. This can be played wherever the players want or more commonly, in an arena. Although organized online and offline competitions have long been a part of video game culture, these were largely between amateurs until the late 2000s, when participation by professional gamers and spectators saw a large surge in popularity. Meaning that many game developers such as Blizzard and Valve now actively design toward a professional eSports style to encourage growth. So where can eSport be found? Well, pretty much anywhere. As the sport takes place online, it can be accessed across the globe from the internet. Platforms such as YouTube and Twitch.tv often broadcast live, and matches can be streamed and watched after they have been completed. As for countries, eSports are common in the US and South Korea, and countries like France also have large communities for different games. While Japan may look like an obvious choice for a thriving community, due to its massive games output (13.67 bn U.S. dollars predicted in 2017, for example), laws against gambling and obtaining reward money through games has hindered the popularity of eSports. With duration in mind, matches of eSports largely reflect other major fanbase sports such as football and rugby, mostly lasting anywhere from 40 minutes, or up to 3 hours depending on the game or match type. The average duration of a match of Rainbow Six Siege (an FPS, or first-person shooter) is about the length of a football game, averaging 85-90 minutes with one to two intervals, as a normal Pro League match is a best of three. A single match of Dota 2, a Real Time Strategy game, can last between 35-40 minutes although matches can last longer or shorter depending on the teams playing. While physical sports can have extra time, matches in eSports can have a duration of Overtime to prevent a match ending in a draw. This can somewhat increase the match duration from time to time. So how hard is it to join a gaming community? Easy! Whether you are participating or spectating, the community often looks for new members to welcome to its fanbase at whatever level. To spectate, simply look up the competitive scene for your favourite game or explore games you might enjoy. 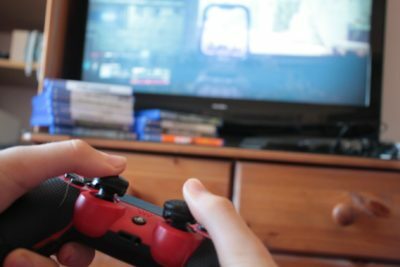 With the recent release of ‘Ready Player One’, we may also look forward to a rise in gaming popularity – the releases of ‘The Hunger Games’ and ‘Brave’ led to an increase in archery club membership. Interested in joining? Sign up to an event. Play the game, better yourself, and win.